Rose Corcoran Writes: Preorder Outcast Shadows! 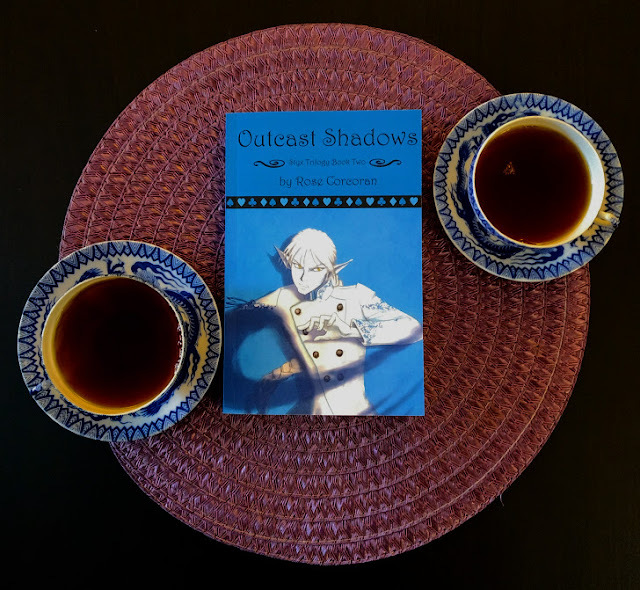 Outcast Shadows is finally ready for pre-ordering! Please consider doing this as a purchase option, since it helps the sales ranking a little more than orders after the release date of the book. As with Miscast Spells, Outcast Shadows is available as a paperback or as an ebook. You can preorder from Amazon or Barnes and Noble (for some reason on Amazon, the ebook and paperback aren't synced up, so here is a link to the ebook). Book Two calls for two cups of tea! 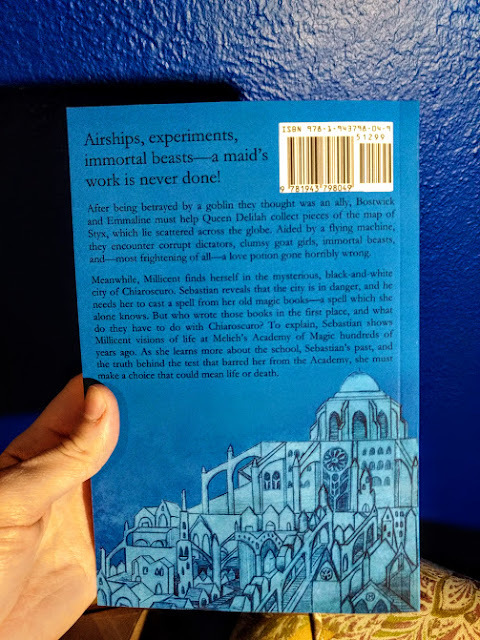 The back cover is Chiaroscuro! Pre-ordered, and looking forward to it!